Congratulations to Jonetta A. and Chris F., the winners in Jennifer's giveaway. Thank you to all who participated! It’s 2 a.m., and I’m writing feverishly. My rear-end has been glued to my office chair since 10:00 a.m., and I’ve only taken a couple of short breaks to eat and go to the restroom. The laundry is piled a mile high, and the house is practically falling down around me. Even though my mind is racing, my eyes are getting blurry and my fingers tired. No matter how much I write, I can never seem to satisfy that fire-breathing taskmaster who demands perfection in every aspect of my craft. She’s the one that never lets up—the one that’s constantly breathing down my neck, telling me that I can do better. No matter where I go, I can never escape her; for every morning when I awake, she’s staring at me in the mirror. Yes, that dreaded taskmaster is me! My mom and I have been writing together for over a decade, and kudos to her, she somehow manages to put up with me. Most of the time, we get along great, but I knew I’d been pushing us too hard when she walked in my office and looked at my teenage son. “I got some good writing done today … let’s see if it meets your mother’s approval,” she added dryly, rolling her eyes. And so it is. Why is it that moms are always right? Normally, I’m not this crazy about our writing, and I don’t regularly pull 16+ hour days. But this time, I’ve been writing nonstop for two weeks. The goal? Finally finish the dad-gum Christmas novel we started six years ago! Like most writers, I have a busy life that requires a great deal of my time and energy. Consequently, my writing is often put on the backburner. That all changed a few months ago. Something inside of me snapped, and I decided that it was time to focus more on the writing. Mom and I had roughly half a Christmas novel written. Every year around this time, we would pull it out and make a halfhearted effort to work on it. It was the unfinished novel that kept hanging over us like a bucket of ice water perched on a ledge, waiting to drench us when we least expected it. Not anymore! I was going to conquer it before it conquered us. (Unfortunately, this realization came the last week of September.) I decided that, barring a tornado, landslide, tiny Martians scooping out my brains with a soupspoon, or some other calamitous event, we were going to finish it in a month. That meant that we had two weeks to write half a novel and another two weeks to edit it. It was a lofty goal, but one that I felt sure we could accomplish … if we put our minds to it. And after much sweat, blood, and a few tears, we did! I’ll never forget the burst of exhilaration I felt when I typed the last word! There should’ve been some sort of fanfare or trumpets blaring, but it was just me … alone in my office, tears streaming down my face. (No, I wasn’t crying because it was actually finished, I was crying because the end of the novel is touching, and I’m a big softie.) I leaned back in my chair and gave a satisfied sigh. I think a part of me was still finding it hard to believe that we’d written half a novel and edited it in a month’s time. The biggest surprise of all? I was pleased with the result. I had proved to myself that we could do it. And when the novel was finished, a part of me missed the rush of working like mad to complete a goal. I promised my husband that I would never again do anything so foolish. A novel in a month? Never again. A novel in two months? Well … now that’s a possibility worth exploring! Drumroll … please … here’s the novel. It really is a Christmas Miracle! Believe in miracles … believe in Christmas … believe in love. It’s Christmas time, and Chancy Hamilton can’t bear the thought of spending the holidays without her late husband Max who died in a plane crash. When Chancy and her teenage son, Travis, have an argument, Travis storms out of the house and ends up in the wrong part of town where he is attacked by a group of thugs. When a homeless man comes to his rescue, he invites the man home to have a meal with his mom and little sister. Gabe Jones is not like any other homeless man Chancy has ever seen—he’s confident, intelligent, and devastatingly handsome. Jake, Chancy’s boyfriend, takes an instant dislike to Gabe and warns Chancy to stay away from him. Nevertheless, their lives become intertwined, and Chancy is soon thrown into nightmarish events caused by a chilling deception where nothing is as it seems, bringing a terrifying aftermath that threatens not only her but the lives of her children. 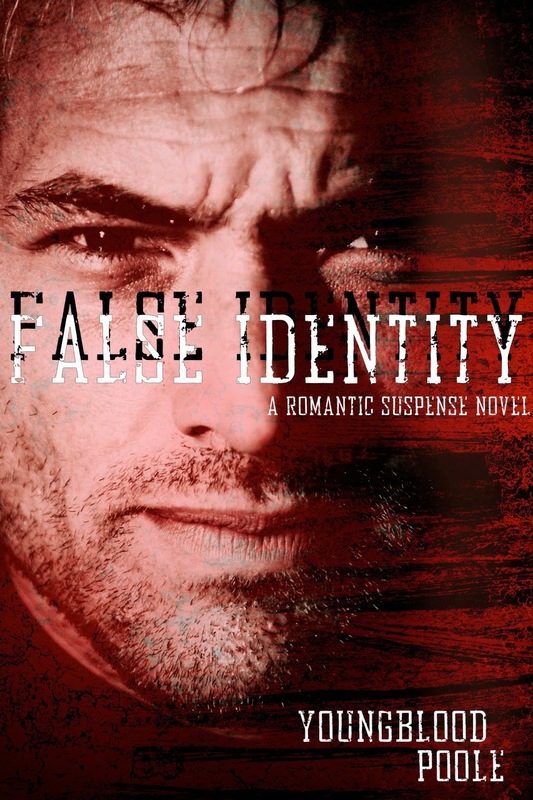 Jennifer will be giving away two False Identity ebooks through Amazon Kindle. Giveaway ends 11:59pm EST November 12th. Please supply your email in the post. You may use spaces or full text for security. (ex. jsmith at gmail dot com) If you do not wish to supply your email, or have trouble posting, please email maureen@justromanticsuspense.com with a subject title of JRS GIVEAWAY to be entered in the current giveaway. That's awesome that you and your mom write together. Yes, the mother/daughter duos are unstoppable! Good luck on your writing! You have me very curious about Gabe... your book sounds like one I would really enjoy... thanks for sharing! Pick me! Pick me! I loved the other book I read of yours. Thanks all of you guys for your wonderful comments! I have such amazing friends and fans! You're awesome! This sounds like a really great read, especially this time of year. Thanks for an interesting guest post. Congrats on your book release and a perfect suspense story for Christmas. A great post. You sound so busy. FALSE IDENTITY looks amazing. Boy, you got my attention! Can't wait to read this!